Every blog that has ever been created started with big dreams. But the harsh truth is that 9 out of every 10 blogs end up failing. That’s quite depressing at times, right? So much time and effort wasted. There are more than 966 million websites already on the internet. However, many of these sites get nothing more than 1k visitors/month. Someone who thought that creating a blog would solve all their problems. Someone who was brainwashed into believing that running a blog was easy. 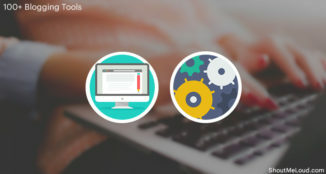 Someone who thought that once WordPress, some plugins, and a little bit of mediocre content were put in place, the money would start rolling in. Why do some blogs succeed and some fail? What are those factors that separate successful bloggers from failures? 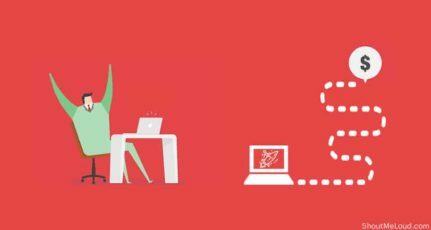 How can you launch a blog that will stand the test of time? Stop seeing blogging as a quick gamble & get rich quick scheme. It’s not. It’s a serious venture that needs hard work, dedication, and persistence. I’ll get straight to the point here because I know you are also busy & I don’t want to waste your time. Like I said, most people that start a blog have a big goal in mind; they hope to see their blog soar higher than Mount Everest (who doesn’t want to succeed)? 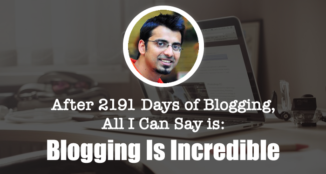 Interestingly, the majority of people who venture into blogging often quit within 3 months. 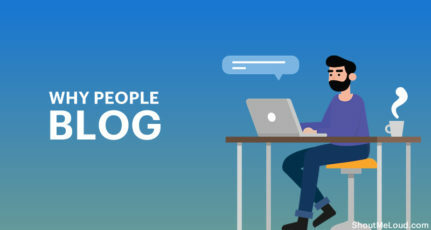 When people start blogging, most of them start off wrong. They prioritize the wrong things, and once this happens, failure becomes inevitable. They squander their first 3 months with little to nothing to show for it except many empty social media accounts. With nothing significant, they eventually hit the glass ceiling of the blogosphere and quit. Lack of results can demoralize and demotivate even the MOST SERIOUS individual. … And I can relate to it. This means that the more time you spend working on something without any positive outcome, the harder it is to proceed. 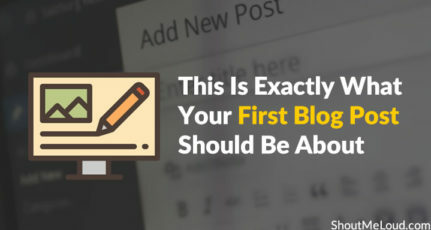 That’s why most beginner bloggers fail. Similarly, when you start blogging with the intention of making money on your first day, after you don’t see those results, you’re going to get demotivated. Perhaps, you’ve been brainwashed into thinking that blogging is easy and a fast route to wealth. You’ll eventually have to come with face to face with the sad reality that it’s not. Most people try to live with the “fake it ’til you make it” mindset. But with blogging, everything you do must be highly intentional. There’s no faking anything here. That said, here are three things that, if not fixed, will definitely cause failure. Let me tell you an honest truth, creating lots of content on your blog when you’re relatively new to the industry without much of an audience is not a good idea. But this is where most new bloggers spend about 80% of their precious time; they create and publish content that no one will read. This is a dumb idea, and whoever introduced it should be given a hard knock (kidding). You should spend most of your time promoting the content you already have. Don’t stress yourself out creating new content. You should only do this if the few pieces of content you have are of high quality. If that’s the case, then go ahead and promote the hell out of them. I once met someone who was struggling to build a blog audience. He had a bunch of articles, yet no visitors. When I asked him if he was promoting that content, he said he was. I then asked him to tell me his promotional strategies. Well, I was not surprised when he gave me the answer. I wasn’t satisfied, so I asked him to continue. This tactic isn’t going to do you any good. When you start out, you have little to no audience. So whom are you sharing your posts with? How are you building an audience? Can you see why this strategy is an exercise in futility? You can’t possibly build a sustainable business by only publishing content and sharing it on social media. You have to smartly promote your posts. If you really want to promote your blog and get the kind of traffic that will put you in trouble with your host, you’ve got to tap into an existing audience. In every niche/industry in the blogosphere, some people decide what happens. There are people whose opinions are always valued and respected more than others. These are the people that have been in that niche longer than you, and they already have a massive audience. You need to connect with them. Once they know you and like what you do, they’ll help you grow. No influencer will promote your blog unless you have something different and unique to offer. 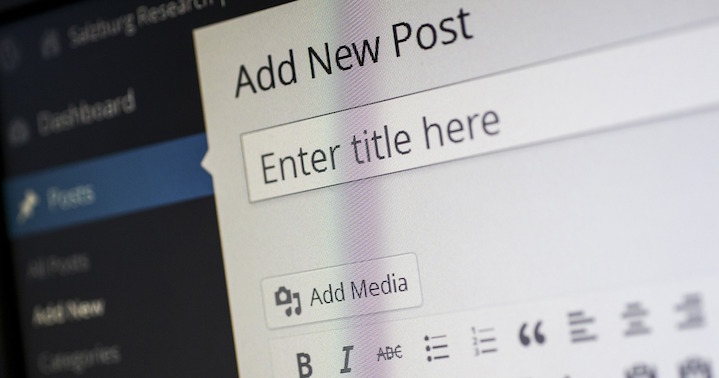 Before an authority figure spends the time to read and share your content, your blog must be well worth the effort. Sadly, most blogs on the internet today have nothing tangible to offer. When you visit the blog, you won’t be able to distinguish it from any other one you just visited. Now, if you have such a “ME TOO BLOG”, how on earth would anyone want to share your content? In case you don’t know yet, any time you spend working on such a generic blog is a waste, and you will never get anything meaningful out of it. How can I stand out from the other 164 million blogs on the internet? Well, this is not rocket science. The secret of being unique in this industry is just to “BE SUPER SPECIFIC” with what your blog is all about. Instead of writing about “marketing for bloggers”, write about “video marketing for entertainment bloggers”. What stands out, gets remembered. What blends in, gets ignored. The goal here is to be yourself. If you’re in the internet marketing space, don’t try to be ShoutMeLoud. Instead, try to be you. This way, influencers in your niche will be happy to share your content and you’ll stand a better chance of siphoning off a part of their audience for yourself. Now that I’ve already told you what you’re doing that might make you a failed blogger, it’s time to start working on making your blog a success. Don’t create new content until your ready. And most importantly, make your blog stand out. The best way to get quality readers coming to your blog is to entice popular bloggers to send you some of their audience. This is social proof 101. Follow all the instructions here, and I bet you’ll soon experience a traffic surge on your blog. I want you to do something for me right now: Leave a comment and mention 3 blogs in your niche you want to get a link and mention from. What influencer do you think would help you grow your audience? Let me hear what you think in the comments section!! thank you Harsh for writing such wonderful plus informative post, i’m a new blogger, but despite getting low traffic, I’m not ready to quit blogging, i’m writing since july 2016 and I have 90 quality articles, despite of having quality content, i’m getting only 30 to 40 visitors per day, but I believe that i’ll surely rise someday, therefore I will not quit my passion. This article is what I was looking for all over the internet. Studying about what things cause failure is somewhere good than other things. I am not a blogger but it also related somewhere in my profession as well. 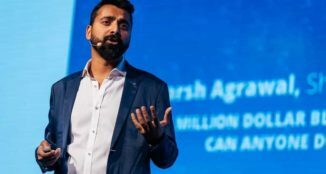 I am agree with you that people start developing more and more content and they forget about to market it or they dont have proper strategies to promote the articles. And they end up with low traffic. yes you’re right blogging doesn’t give results quickly we have to be patient to get results thanks for the guide. I must say, I was under the wrong influence. I thought that if you could create a whole lot of content, the chances are much better for people to read your posts. What you say, makes sense. Hi Harsh, I must Say You have Deeply Analyse the reason why Most of the Bloggers are Fail to Make Living with Blogging. The only think that can help everyone is NEVER GIVE UP Attitude. Thank you for this post it helped me out a lot I was going on the same track now I know what I have to do to improve my audience. A very nice article. I am also a budding blogger, with two blogs in mind, viz., software testing and general. This is a very helpful advice. Thanks. Thanks for that great insight. As bloggers try to use the easy way out and want to earn quick money and use shortcuts. They need to understand that it will take time for them to be recognised if they work hard and use the correct strategies and implement them right and in time it will give results.